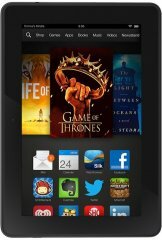 This tablet computer (AKA Amazon Kindle HDX 7) intends to aid the vision-impaired, with the Screen Reader and Explore By Touch text-to-speech features, while it allows you to connect to an Amazon tech support who can help you out with understanding or using features, using the Mayday app. It also boasts a quite decent 2.2GHz quad-core processor, on top of a 2GB RAM. 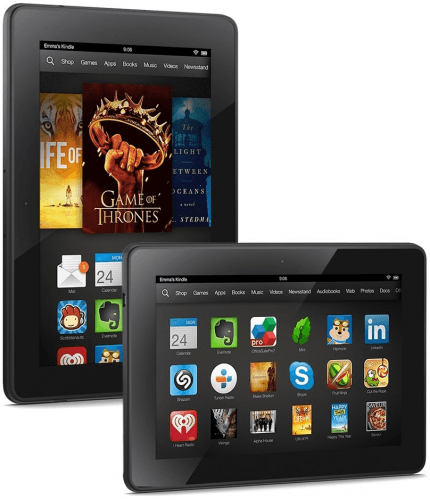 Also known as: Amazon Fire HDX 7, Amazon Kindle HDX 7. More Amazon tablet computers See all the new Amazon tablet computers.